I always love to learn new things about blogging. I have been blogging for almost two years now and a Brunch with Bloggers in Seattle's Best Coffee last Monday was a breather for me. Seeing a lot of familiar names in a blog is exciting and an invitation for an event like food tasting should not be missed. Seattle's Best Coffee's Holiday Drink. This holiday season, Seattle’s Best Coffee offers new product Oreo Cookies and Mint. It’s a comforting mix of the fresh taste of mint and the classic mocha with a good measure of Oreo cookie bits included, all mixed together in one harmonious sip and made perfect for the season. 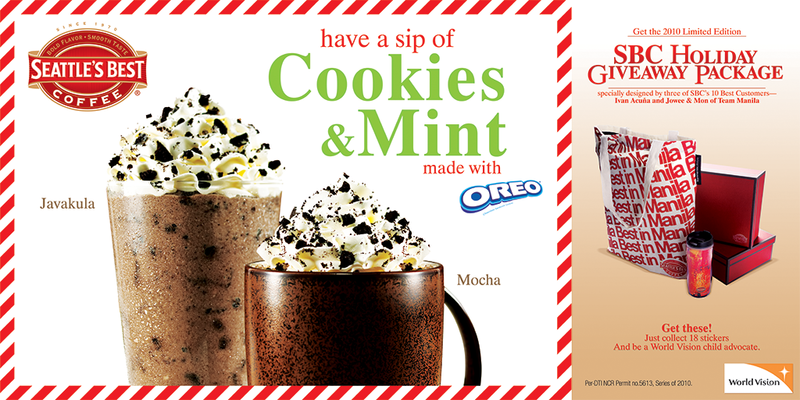 This holiday drink is available in two ways – Cookies and Mint Mocha and Cookies and Mint Javakula. Please visit your favorite Seattle's Best Coffee cafe and find out more about the SBC Holiday Drink and Holiday Promo. 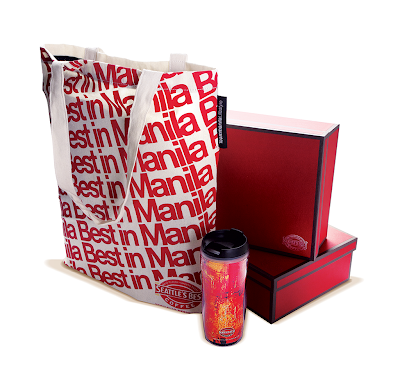 Promo Period is from October 29, 2010 to January 15, 2011. Per DTI-NCR Permit No. 5613, Series of 2010.
yay.. extra ako.. sarap ng breakfast sa sbc.. next time uli.. haha..